Are you sat there wondering, how can you bring your art gallery marketing to life and entice a new generation of culture vultures? Well, when it comes to entertaining the millennial masses and their short attention spans, video marketing seems to be working a treat. Did you know that more video content is uploaded in 30 days to social media channels than major US television networks have created in 30 years? Thanks for that stat, Wordstream. In fact, when was the last time you went on any kind of social media platform and didn’t see some sort of video marketing in your feed? This trend is probably due to the rise of the smartphone, creating a novice videographer out of all of us, with the number of apps available to make the average home video look great. Since more people are creating content than ever before, it makes sense that this content is being shared more than ever before too. But why do people watch videos so much? It boils down to one thing; entertainment. The next time you’re on any form of public transport, have a look around you. What are people doing? They’re either on their phones, reading a book or staring blankly ahead wondering when it’s all going to end. Video provides a form of escapism that people are more than happy to escape into. According to Wordstream; 45% of people watch more than an hour of Facebook or YouTube videos a week. Hardly surprising is it? I’m actually surprised this statistic isn’t higher. Art is the most visual form of expression, it evokes meaning and feeling. 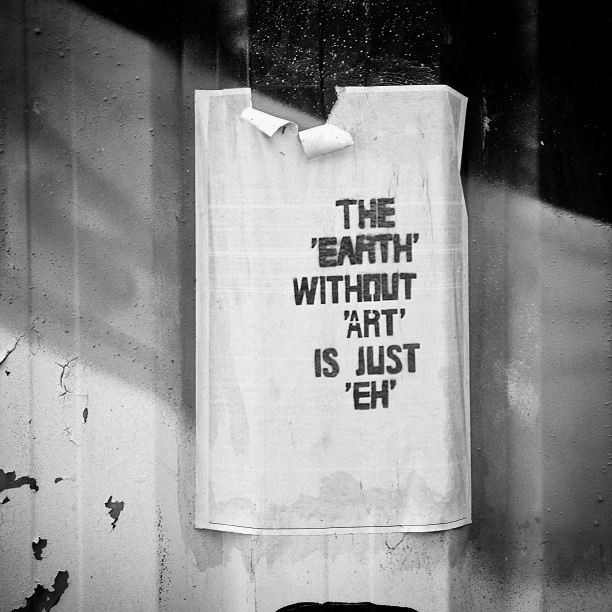 Sorry to reiterate this phrase, but what is the word ‘earth’ without ‘art’? It’s just eh. Exactly. 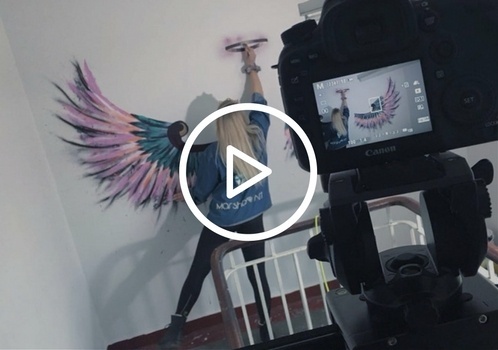 When it comes to art gallery marketing, there are so many different ways you can use video to fully utilise the creative content you have around you. After all, if your whole business is about visuals and aesthetics, why not showcase this in every way possible? Here are just some of the ways you can use video in your art gallery marketing strategy. “Your Facebook friend Dave Smith is now live”, “Ben Dover is live on Instagram” – hands up how many of you have had these notifications? Live video can be little daunting because, well, it’s live. It doesn’t have to be daunting though, if you plan ahead you can make your video seamless yet spontaneous. Maybe you’ve got an artist coming into your gallery for the day. Why not film them painting or drawing something? If people are invested in your gallery, it’s because of the work you have on display, and they’ll be interested to see how it all comes together. An artist Q&A could also lend itself to live video. Promote the Q&A ahead of time, and ask the artist to promote it to their fans too. Although it may be advisable to avoid a Reddit style “ask me anything” just in case things take a dark turn. One of the greatest things about live video is that it’s in real time, and people can comment, engage with it and share it with their friends. The other great thing about it is that all of your existing fans will be notified of the video taking place, so you can target an already captivated audience. Isn’t marketing supposed to be all about storytelling anyway? Stories allow you to post temporary images and videos from your account that don’t sit on your profile forever. The lifespan of a story is 24 hours, and people can choose to click into them, rather than being spammed with endless posts in their timeline that could push them to unfollow. Got new work coming into the gallery? Add it to your story. Got an exciting guest coming into the gallery? Add it to your story. In the middle of an artist launch? Add it to your story. The list goes on. 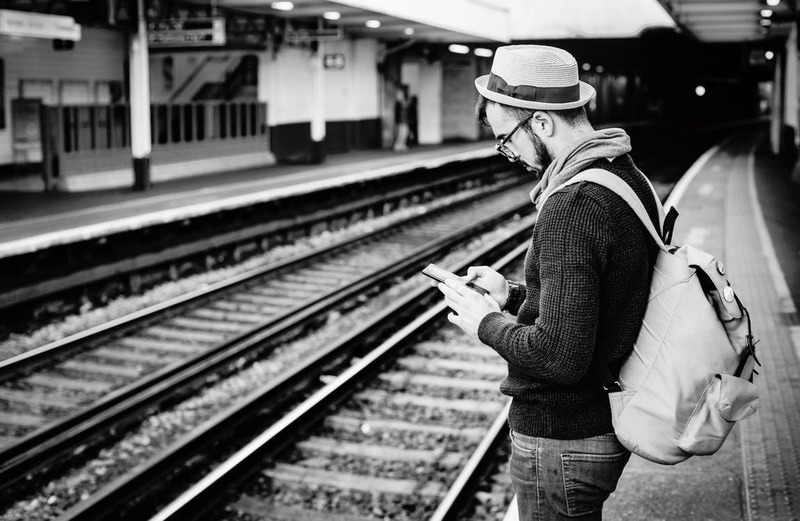 Think of your Instagram feed as your portfolio. Use your more refined videos and images on there. Your story is more of a window into life behind the scenes of a gallery. Timelapses are pretty much they say on the tin. You can film whatever you’re doing, and it’ll speed up the video for you so you can watch the process beginning to end much quicker. Perfect for art gallery marketing! If you aren’t happy with how your video looks, or you want to stitch a few videos together, there are so many free apps out there to help you do that. A favourite we use at Six & Flow is QUIK by Go Pro. It’s quick and easy to use, as the name would suggest. Now, I’m going hit you with another statistic. According to HubSpot, 85% of videos on Facebook are watched without sound. So, when you’re making videos to use on this social platform in particular, make sure they make sense without sound. Video apps can help with this by placing text over the video, effectively adding subtitles to any narration. Video shouldn’t be used solely on social media either. 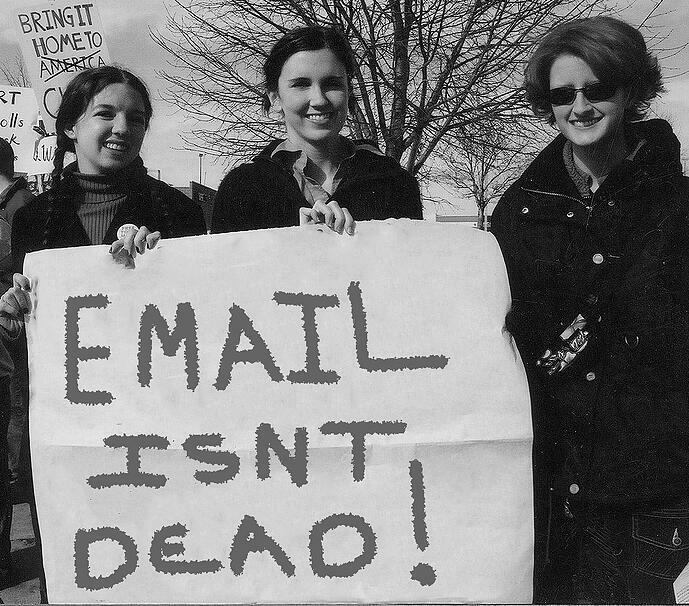 I’m a massive advocate using video on emails too! If you’re scratching your head over file size and the affect it’ll have on open and send rates – don’t. You don’t actually have to put the physical video in the email. Just attach a screenshot of the video with a play button over it, and link the image to wherever the video is hosted. Your click-through rates will go up, I promise. Want help with your art gallery marketing? 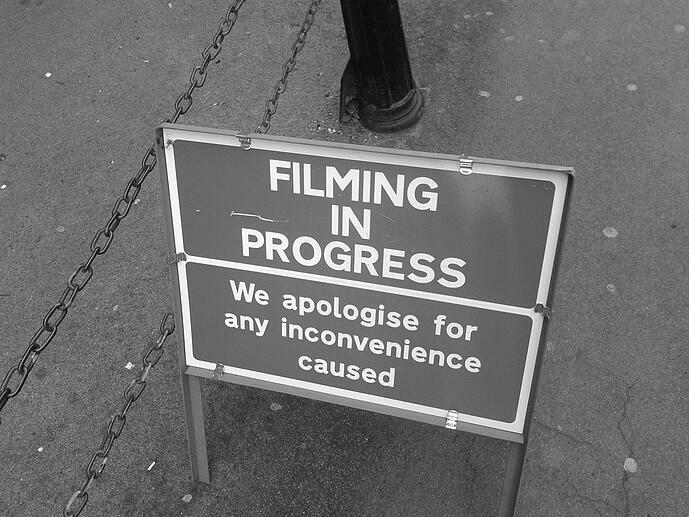 Get in touch, we can help with videos and much more besides.